Finally, it stands. 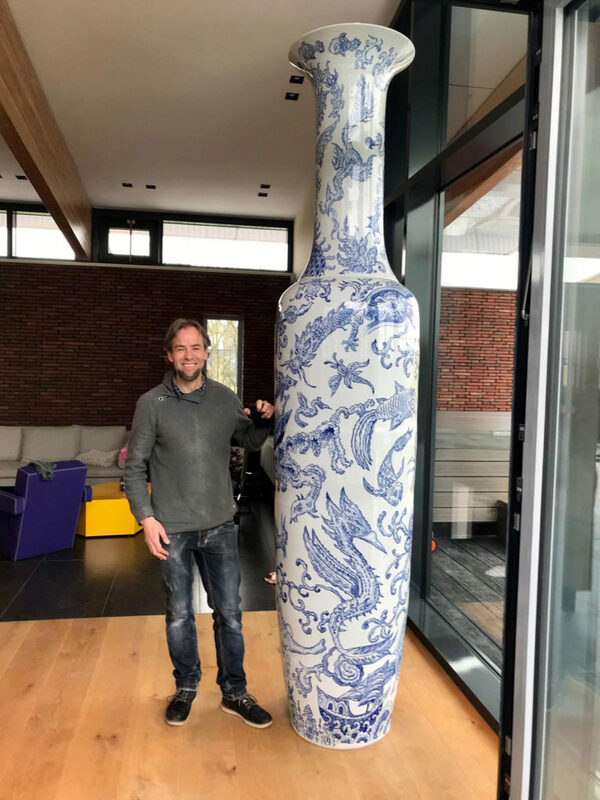 One of the two large vases that I painted in Jingdezhen, China in December 2018. After quite a long journey (in terms of distance as well as in life experience), a lot of powerlifting, two broken backs (sorrysorry Lenny and Mark), and a slightly bruised left wrist (myself, left-handed), it finally arrived at the client. It has found a beautiful (and rather large.. I must say) home. 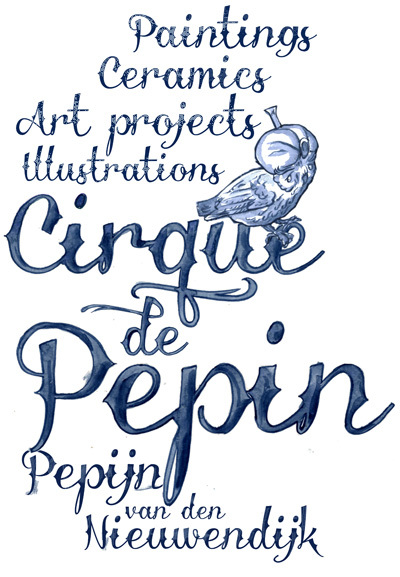 Many thanks to the incredible Luigi Zuliani, Gallery Untitled team and Leon Perlot. 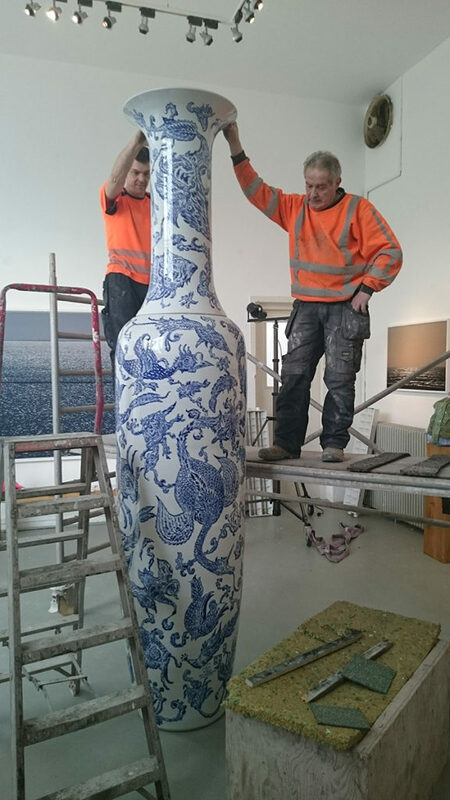 The second large vase, The Nan Hai blue creatures vase and two smaller vases, Shénhuà vase I and II are now on display at gallery Untitled in Rotterdam.